I joined the University of Arizona School of Information in August 2016, after three years as an assistant professor in Computer and Information Science at the University of Alabama at Birmingham. I previously worked as a postdoctoral researcher at Stanford University's Natural Language Processing group, Johns Hopkins University's Human Language Technology Center of Excellence, KULeuven's Language Intelligence and Information Retrieval group in Belgium, and the University of Colorado's Center for Language and Education Research. 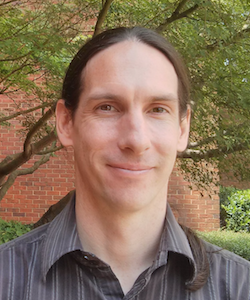 My research interests include natural language processing and machine learning theory and applications, including modeling the language of time and timelines, and information extraction models for clinical applications. There is a large community at the University of Arizona pursuing similar natural language processing research. Visit us at: http://nlp.arizona.edu/. NIH NIGMS 1R01GM114355, Extended Methods and Software Development for Health NLP, in which we are designing machine learning algorithms that leverage large collections of text to improve information extraction tasks such as mapping text to ontologies and discovering links between health events. NIH NLM 1R01LM012918-01, Automated Domain Adaptation for Clinical Natural Language Processing, in which we are designing algorithms that can improve machine learning models trained in one medical institution with data from another institution without any need for sharing of patient data. DARPA W911NF-18-1-0014, Global Reading and Assembly for Semantic, Probabilistic World Models, in which we are designing machine learning algorithms to infer from text the times and locations over which a causal relation is valid, with the goal of modeling complex interactions in domains like food security. NSF SMA 1831551: RIDIR: Collaborative Research: A Data Science Platform and Mechanisms for Its Sustainability, in which we are designing information extraction algorithms to make it easier to search environmental impact statements. NIH NLM 2R01LM010090, Temporal Relation Discovery for Clinical Text, in which we designed machine learning algorithms to extract timelines from clinical text and integrated those with structured data from the electronic medical record. If you are interested in working with me, you should apply to the PhD in Information program. Instructions on how to apply are here: https://ischool.arizona.edu/phd-information. Do not send me your application materials (CV, etc. ); I do not make any direct acceptance decisions. All applicants to the Ph.D. in Information program are reviewed by a departmental committee, and that committee makes the acceptance decisions. If you are accepted by the committee into the PhD program and come to the University of Arizona, come talk with me once you're here. I'm generally happy to work with students who are interested in natural language processing and machine learning, though you may need to take some machine learning courses here before you have the skills needed to work in my lab.